Haven’t updated you on any of my ultra training so I thought I’d do that! I’m currently registered for an ultra (30 plus miles) trail run and a city marathon (26.2 miles). My training consists of lifting weights at the gym and outdoor running. I hate running on the treadmill but if I have to I will. This time of year means that I’m getting into the beginning of my longer runs. Longer runs mean that you have to get accustomed to suffering. Seriously, to run long distances you need to get comfortable with suffering. 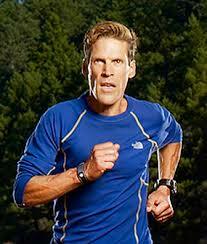 So for motivation this week I thought I’d leave you with some quotes from Dean Karnazes, known as the ultra marathon man. So quit reading already and go run!